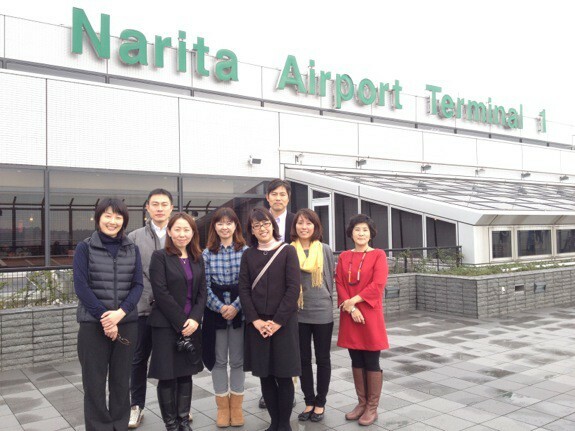 From November 12­-22, 2014, seven Japanese professionals in the field of education participated in the Building the Next Generation of Leaders for the U.S.­ Japan Relationship: the Role of Educators (Voluntary Visitor Program). This program aims to create local partnerships to increase the number of Japanese students who study abroad in the United States. The participants of the program included Japanese teachers working as advisors for students who are interested in study abroad and teacher trainers who counsel and advise teachers in Japanese middle and high schools. Other participants included education professionals and government officials who shape internationalization initiatives in Japanese schools. During the program, the participants learned about the educational system in the United States, networks, and best practices available to support students who are preparing to study abroad. The program also provided English teacher training at the University of Oregon Center for Teachers of English to Speakers of Other Languages (TESOL). Through the program, teachers will have the opportunities to meet the resources that EducationUSA offers and learn how grass­roots organizations such as TOMODACHI Initiative work to support the bilateral relationship.